Some of the silliest things I've been asked. As a Japanese American, or Nikkei-jin, I’ve been asked a lot of questions about Japan, or about being Japanese. These questions are mostly all harmless, and some of them are really stupid. Other ones are really annoying. So, here’s my attempt to shed some light on the subject. This post will inevitably be biased, but bear with me. At least it’s short (I have a hundred more of these ready, if I get a positive review). 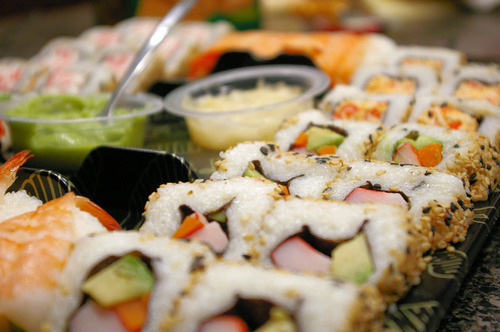 Q: Do Japanese people eat sushi for every meal? 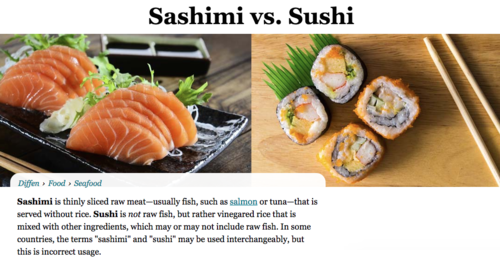 A: Japanese people don’t eat sushi every day. I recently had the total misfortune of going on a business trip to Japan with an enormous culture vulture. This dude literally thought that everything in Japan was pokemon, studio Ghibli and sushi. He wanted to eat sushi for every meal possible. Do Americans eat hamburgers every day? Do Indian people eat curry every day? Nope. Right. C’mon guys. Q: Doesn’t the Japanese writing system go up and down, with three different kinds of writing styles? How do you keep up? A: Because I can read and write. I know that this question isn’t actually stupid, but the thing is, it’s just a part of the language. There is no greater mystery to it, and Japanese is a way easier language than English. To keep it as simple as possible, kanji is the writing system that is borrowed from the Chinese. It’s more symbolic, with meaning behind each character. Even if you don’t recognize a character, it’s easy for you to figure out what someone meant to write. Hiragana is essentially the Japanese alphabet. Hiragana is the writing style that is phonetic, so that you can read letter to letter. Katakana is the exact same as hiragana, but used primarily for “borrowed words”. Foreign words, usually Western words are written in katakana. As far as the writing structure going up and down goes, Japanese can also go left to right. 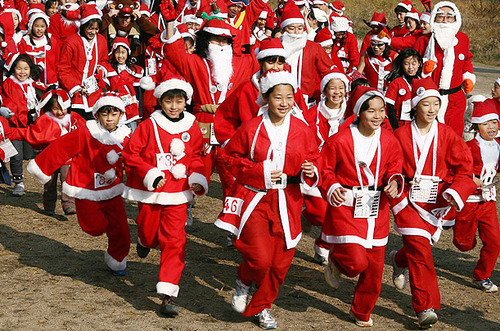 Q: Do Japanese people celebrate Christmas? A: Yes, but in the strictly materialistic way. Lose all religiosity. Only presents. And pretty much the second coming of Valentine’s Day for couples. It’s not an official holiday, and there aren’t very many christians in Japan. For the more elderly couples, many hotels host dinner shows featuring major singers, actors, and actresses. Maybe it’s a really good time for you to buy someone a gift from JapanCodeSupply. All gift cards are available through JapanCodeSupply.